Jenan R. did a really nice job this week at BOTH Walgreens and CVS. I almost picked up the Pampers at Walgreens also! I am so glad I got them at Walmart. But $.50 a box is a killer price no matter what! How did you do this week?! 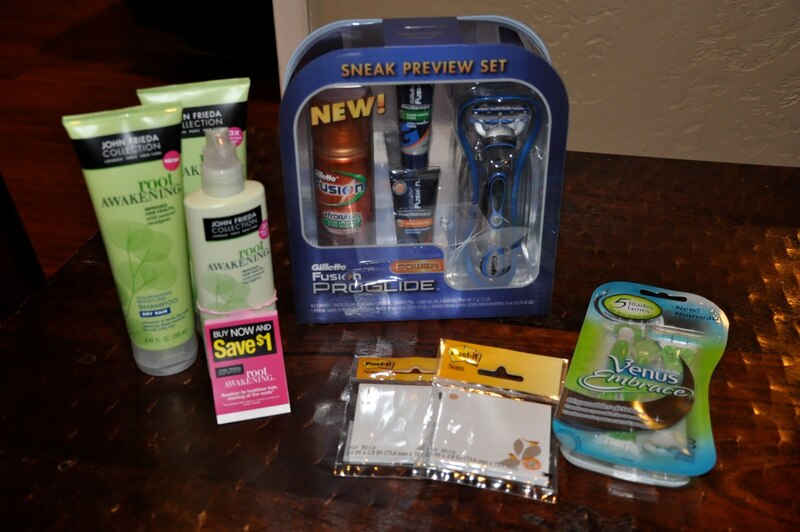 Walgreens and CVS: Hot Gillette Fusion Gift Pack! AT both Walgreens and CVS you can score a killer deal on this gift set from Gillette! Both have them on either an ECB or a Register Rewards special. But the hard part is going to be finding them in the store, they are not always with the razors! Photo Credit, My Dallas Mommy! This is a super good week at Walgreens, to see all the freebies and match ups either go to the bottom of the page and click “older posts” or go HERE! There was a regional $0.75/2 M&M’s Coupon in the RedPlum insert. 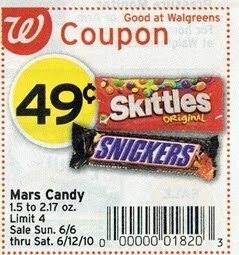 If you were lucky enough to get it you can get really cheap candy at Walgreens this week! Final cost 2 FREE packs + possible overage! These are the best deals that I see this week, for a complete list go HERE. With ballet over it is going to be hard to find the motivation to get to Walgreens… so we will see how I do this week! Thanks Jenny for these match-ups! Photo Credit Wild For Wags! While you are in Walgreens picking up all the free stuff they have this week, make sure to grab some of the Neutrogena Bars. Get Back $10 RR = $1.03 Money Maker! I will try and make it in and we will see how it goes! *See the ad for even more great prices on items without coupons. 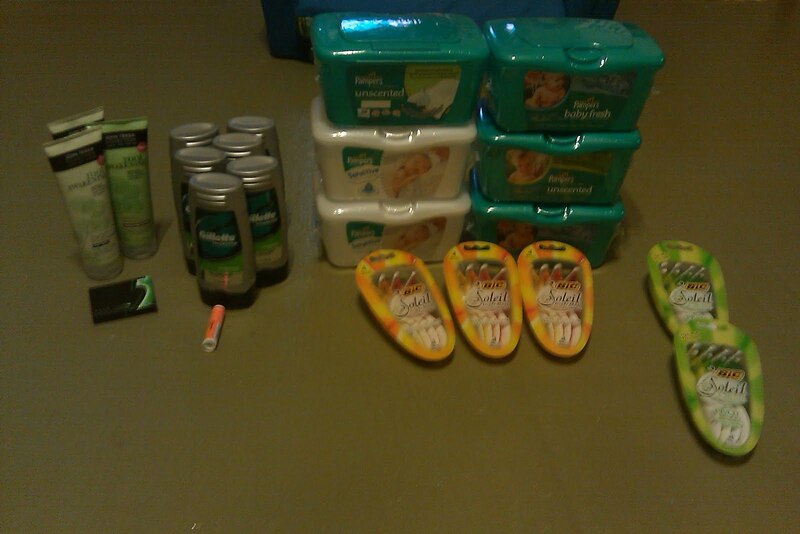 Final Price: FREE plus $2 in overage after coupon and RR! Final Price: FREE after RR! 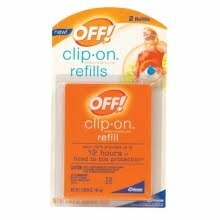 CVS and Walgreens: Off Clip Ons! I got these a few weeks ago at Walgreens for a really good price but I wanted to pick up a few refills. We have used it a few times and I think they work really well. 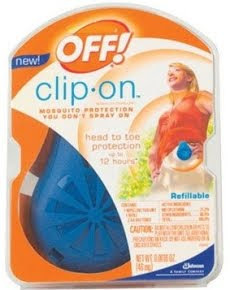 My Dad said they were using them at Scout Camp by clipping them on something up high in the middle of the room and that they worked great there also. So, Thanks to Courtney here is a great way to pick some up! Submit for the $5 SC Johnson Rebate for a huge Money Maker!! Being Monday, and that I have to kill an hour while my daughter is at ballet, and the only place to shop is Walgreens, I always end up in there. The bummer part is that I lost my receipt on my second transaction so I am going to have to take a guess…. Used: $2 off Blink from this weeks paper. 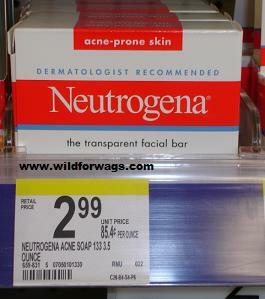 2 Neutragena razors B1G1 free, used $2 off from this weeks paper. 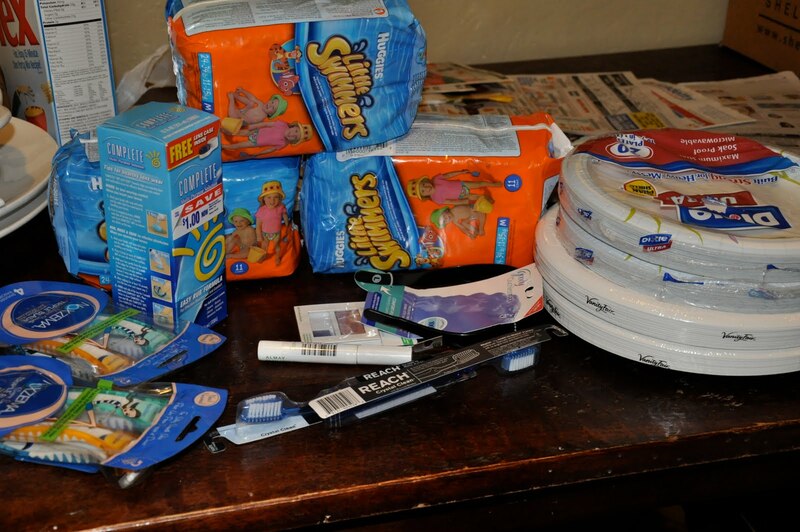 2 Dixie Paper plates B1G1 Free, used 2 $.50 off coupons. 2 Chinet Paper plates B1G1 Free, used 2 $.50 off coupons. 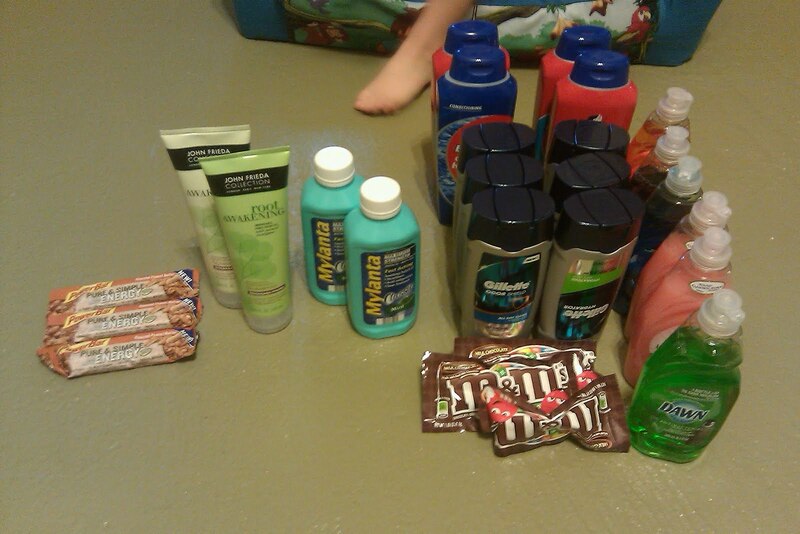 2 Almay make-up on clearance for $1.79, used 2 $1.00 off coupons. + used my $11 RR from the previous transaction. I paid $16 for all the above, good deal since the swim diapers alone should have been that much. Remember there are a few good freebies this week at Walgreens. If you are scared of Walgreens or have had a bad experience you might want to try again? At your own risk of course:) This is what I plan on doing this week, thanks Jenny! You are currently browsing the archives for the Walgreens category.